Fly over the beautiful Old City, observe Montmorency falls and l’Île d’Orléans aboard our comfortable Cessna 172SP. Duration of approximately 40 minutes. An unforgettable experience to share! We offer you the opportunity to discover the greater Quebec area from above by flying over major points of interest. 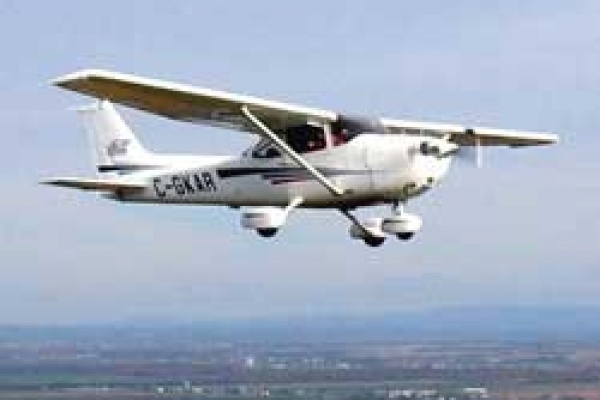 You will be aboard a Cessna 172SP: modern aircraft, safe and comfortable. Individual headset for 3 passengers. Observe l`Île d`Orléans, Montmorency falls and the Old City. An unforgettable experience to share!